Ekonk Community Grange No. 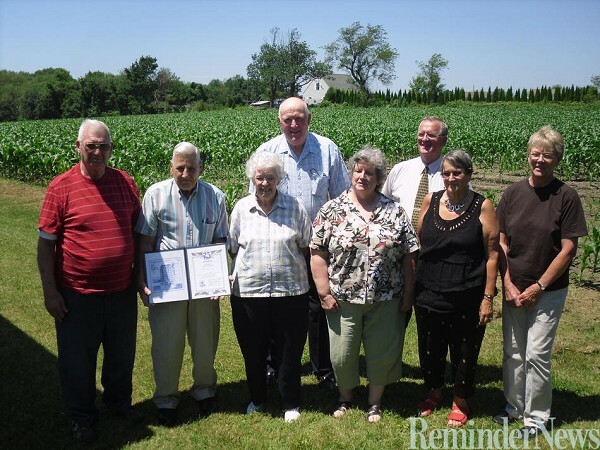 89 presented 12 of its members with awards recognizing their total of 625 years of service on July 17. Robert P. Jordan, former Sterling first selectman for 27 years, received an award for 75 years of continuous grange service. Jordan joined the grange when he was 14 years old. At that time, dues for the monthly meetings were 5 cents. The former dairy farmer said the grange afforded agricultural families a chance to socialize. Jordan and his wife, Edna, owned and operated Jordan Acres Dairy Farm until 2007. Jordan purchased 130 acres and a house in 1943 for $5,000. He added acreage as the years passed until his dairy farm totaled 500 acres. 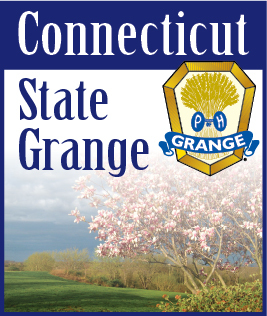 Sterling First Selectman Russell Gray received an award for 50 years of grange service. Gray has been a county grange president and state grange president for four years. Katrina Sebastian was awarded a $250 scholarship at the awards banquet.